In November 2010, a group of leaders from 8 different organizations gathered to plan a regional training for youth leaders. 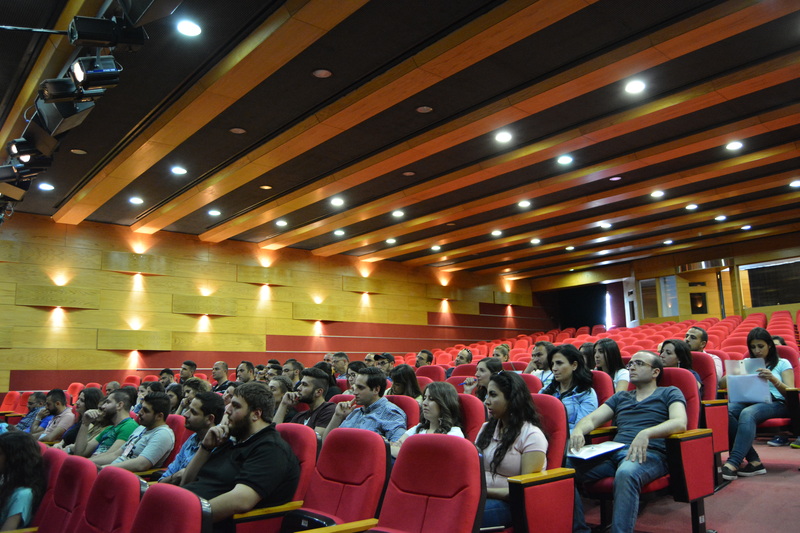 In just over a month, there were 150 youth leaders from Lebanon, Syria & Jordan attending a 3-day training. It became apparent to the committee who organized this event that we may have found something that the Lord wanted us to do together. With the spirit of collaboration in mind, we formed the Katalyst Leadership Team under the larger umbrella of a regional network of ministries, called the Near East Initiatives (NEI). The vision of Katalyst is to see passionate, Kingdom-minded young people engaging in authentic, holistic and relevant mission that brings about personal and social transformation in the Near East and beyond. By doing this we seek to be a ‘Katalyst’ for change among the youth of the Near East. The Near East is defined as the countries of Lebanon, Syria, Jordan & Iraq and the people groups from within these countries. We accomplish this through training youth leaders (who are working with youth between the ages of 12-25) and resourcing them. In the last 2 years, our team has felt a burden to develop youth resource materials written in Arabic by Arabs. While there are lots of youth resource materials available in English and other languages, there is little written in Arabic in this subject. This past year, Katalyst has facilitated 2 Creative Writing Workshops with indigenous leaders from Lebanon, Syria, Jordan & Iraq. We are process of developing Arabic resources on these subjects: youth hot topics, summer camps programs, discipleship, working with Muslim Syrian Refugees, games, creative worship methods, etc. We plan to release these resources for free online ofApril 28, 2016. In addition to this, we have also translated a book called: The Complete New Testament Handbook Resources for Youth Workers, Vol. 1 (Youth Specialties, 2009). While our primary aim is to develop new resources indigenously, we acknowledge the urgent task of getting resources, which are biblically based, into the hands of youth workers sooner than we can develop them from scratch. Accordingly, we are also releasing free copies of this translated book (in partnership with a local publisher: Dar Manhal Al Hiyat) to youth leaders within the region at the same time as we release other youth resources mentioned above. We are excited to see where the Lord continues to lead us as a network that wants to see Jesus gloried in the Near East in the lives of youth. We would ask for your prayer in the days ahead as continue to discern where the Lord is leading us in Katalyst.